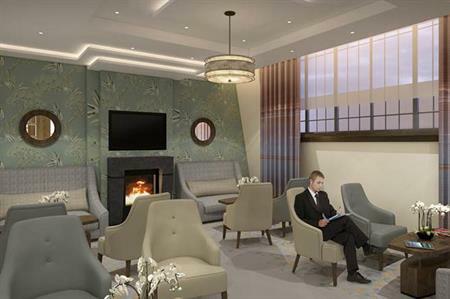 The Hilton London Paddington Hotel will open the GWR Tower and Tower@Paddington on 1 January 2015. The £30m investment has restored the former Great Western Royal Hotel, which dates back to 1854 and is one of London’s most iconic Victorian buildings. Situated at Paddington Station, the development will add 56 rooms and combines British Victorian architecture with Art Deco interior design. In addition, the hotel offers a comprehensive range of executive services including conference and meeting rooms, along with a full range of hotel amenities, the Brasserie Restaurant, Steam Bar and a gym. Hilton Worldwide's UK area vice president Oded Lifschitz said: "The opening of the GWR Tower Wing begins a new chapter in the hotel’s illustrious history. Its character is defined by its proud heritage as the gateway to London, with Brunel's Great Western Railway (GWR) and Heathrow Express making it a superb base for business. We look forward to offering a warm welcome to guests seeking outstanding accommodation in a fantastic location." Bookings are being taken from 1 January 2015 and from January to March 2015 GWR Tower guests using the Heathrow Express will be upgraded to Business First (first class). Hilton Group includes more than 540 hotels and resorts in 78 countries across six continents.